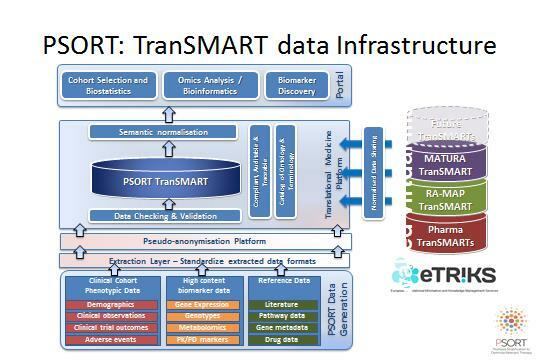 Alongside PSORT’s work strands is the MRC-PSORT TranSMART infrastructure for data integration and analysis. This warehouse for data will allow PSORT to combine the results from WSs 1 and 2 with pre-existing public data. This will provide the consortium and partners with a secure research environment in which to apply a range of systems for biomarker discovery.